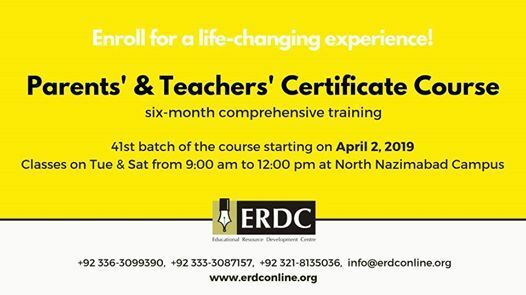 PTCC (Parents' & Teachers' Certificate Course) is a 6 month long extensive training program designed by ERDC, in an effort to contribute to the growing need of an educated society. Admissions are open for the 41st Batch of 'PARENTS; & TEACHERS' CERTIFICATE COURSE'. 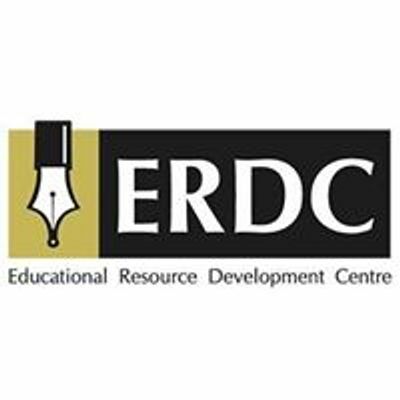 This is the morning program, which will be held at ERDC North Campus. 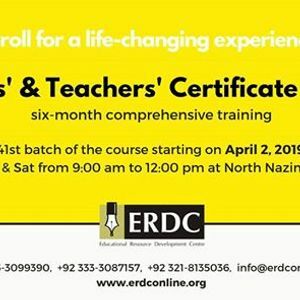 Course starts on Apr 02 2019. Classes will be held twice a week - Tuesdays & Saturdays. For registration and further details, please contact us at 0336-3099390, 0333-3087157, 0321-8135036 & aW5mbyB8IGVyZGNvbmxpbmUgISBvcmc= OR fill up the form at this link https://goo.gl/pxokiR , we will contact you.